Desktop timer can be used to activate the stop watch when working on certain projects. Desktop timers are available for Mac and Windows. 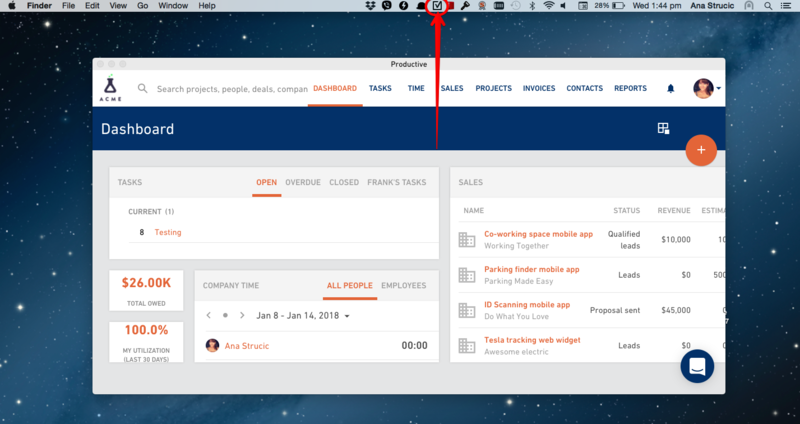 Did you know we have a Productive Desktop app for both Mac and Windows? Desktop app comes with a feature called the Desktop timer. 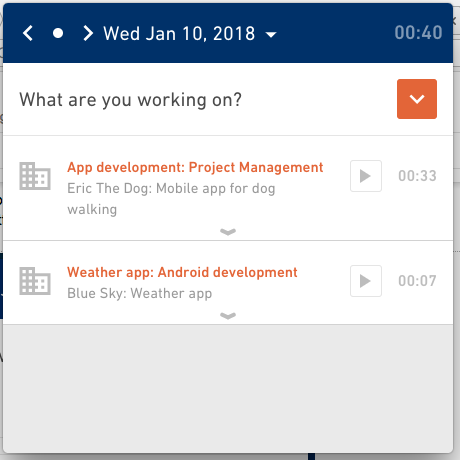 It’s a widget that sits in your system tray giving you more visibility into a running timer and you can track the time you spend on a specific project much faster. If you're a Mac user, here's where you can find the timer. Windows users can find the desktop timer in the tray. 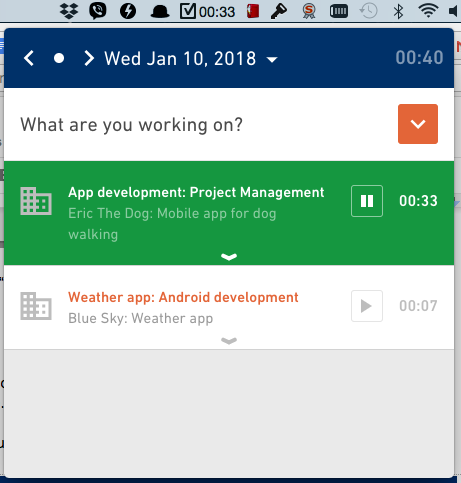 To start the timer, open the widget and select a project you’re working on. You can add as many projects on the list as you like. Once you’re ready to start working on a project, hit the “run” button and the timer starts. Once you’re done, hit the “pause” button and start working on something else. 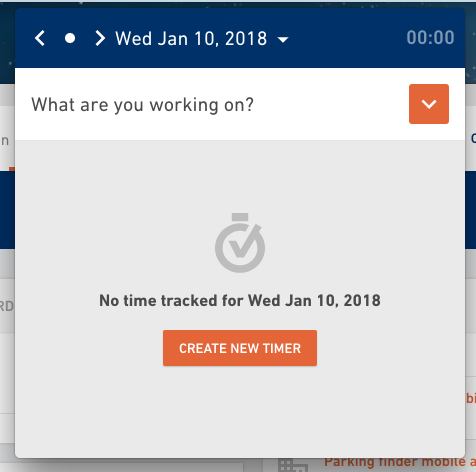 Every time entry you’ve recorded with the timer widget will be automatically visible in the My time section in Productive.